In November 2012, the people of Ohaozara, Onicha and Ivo Federal Constituency shared their thoughts on the performance of their representative at the National Assembly. The opinions were shared via their facebook group – Forum for Ohaozara Progressives and compiled by Humphrey Chidi Awo and Dr Laz Ude Eze. v. Good initiatives like planned microcredit schemes for the poor; planned ICT training for youths, building of website, planned creation of database for unemployed constituents. vii. Active participation in Public Hearings of House Committees in which he belongs. viii. Airing of Constituency Meeting on Constitution Review on a national media (AIT). 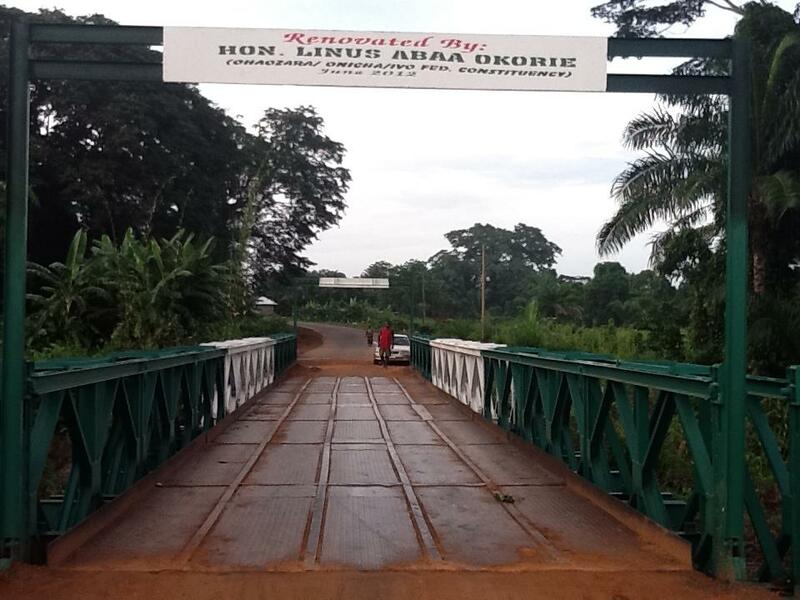 A repaired Umubo bridge along Onicha-Isu Road. i. 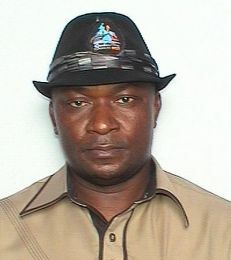 Not active at the Plenary Sessions of the House – not known to have sponsored any bill or moved motions on issues concerning the constituency (specifically lingering crisis in Ishiagu, impassable federal roads in the constituency). i. Improve on legislative functions; become more visible during House Plenary Sessions by contributing to debates and sponsoring/moving of bills/motions respectively. iv. Build a website and update regularly with information about activities of the office to bridge existing communication gap. v. Make the Abuja Constituency House usable and make information available on the process of getting to make use of it and whom to contact. vi. Begin to reply all private messages or emails with coherent response. viii. 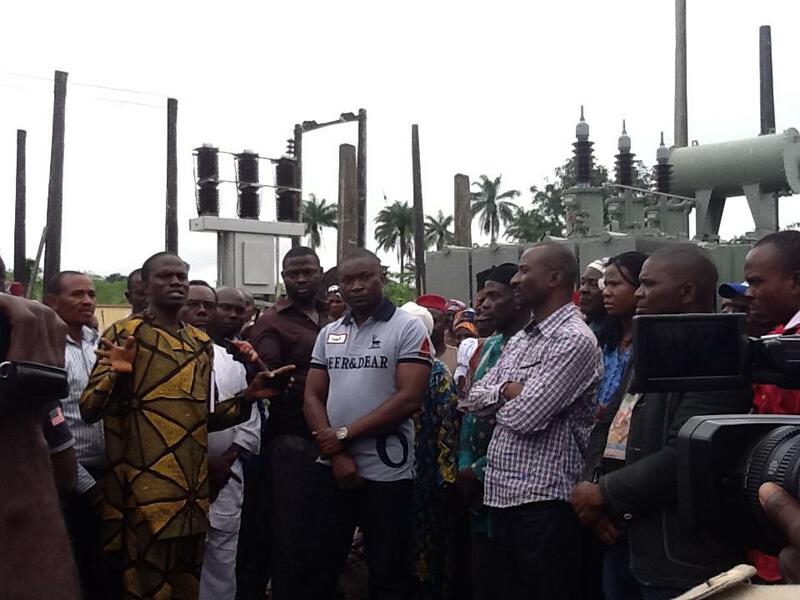 Convene an emergency meeting on AVIA NKWO issue to avert any possible breakdown of law and order between Okposi and Onicha. x. Keep up efforts in the areas he’s already adjudged to be doing well. MAY GOD CONTINUE TO BLESS OHAOZARA NATION. d assessment is worthy of note. For a while now I have been following your good work and I must say that i am impressed. Your assessment of issues and boldness to speak out on issues plaguing us as Okposi people and Nigerians as a whole has made me believe once again that there a few people still capable of advancing the nation. For a long time the politicians of Okposi have been driven by the single goal of self enrichment and the injustice has been left unchecked. The last time I went to vote in Okposi I was shocked by the sight of armed unscrupulous characters attempting to intimidate voters and make away with the ballot box. I couldn’t believe that even in Okposi our beloved home town it had come to this. They say that all it takes for evil to prevail is for good men to do nothing, you have made me wake up to this reality and henceforth I will try in my own way to join this good fight. Nnanna my brother, thank you for your kind words. The task to develop our society is a collective one. Welcome on board and Best Regards.